Get Set! Go! The Top 10 Most Anticipated Anime Spring 2018! Home » Anime » Get Ready For The Top 10 Most Anticipated Anime Spring 2018! Anime Winter 2018 season is coming to an end, which means it is time for an exciting new Anime Spring 2018 season! 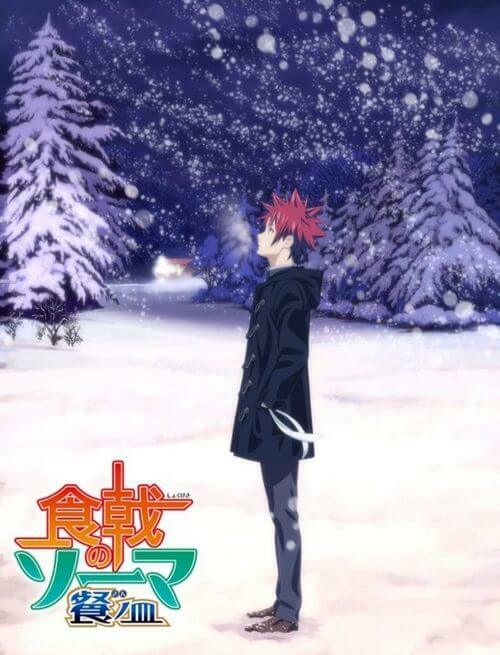 By the look of it, this season is going to include tons of exciting series like Steins;Gate 0, Shokugeki no Souma: San no Sara – Toutsuki Ressha-hen, Boku no Hero Academia 3rd Season, and High School DxD Hero. All of them are extremely promising and so with no further ado, let’s check out the top 10 most anticipated Anime Spring 2018! *Disclaimer: This is list is subjective and it only features TV series. Well, it is quite interesting if you actually have read the manga series. 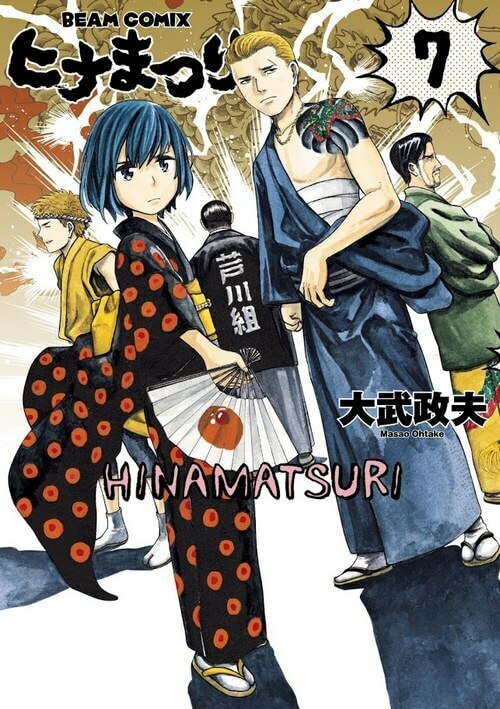 In short, Hinamatsuri tells the story of a yakuza named Nitta (yes a real yakuza). He is a prominent member of Ashikawa-gumi yakuza family – a man who values freedom in life. Unfortunately for him, in one fateful day a mysterious egg-shaped capsule “falls” into his house. It contains an alien little girl with human-like body called Hina. And what does he know; this girl is a powerful esper and also, a future “disaster” in Nitta’s new life. What should he do with Hina? How should he raise her? We will soon know when the series goes on air on Apr 6, 2018! Recommended for: People who are like comedy anime with troublemaker-type of story. Plus, this is a fun yakuza story, quite intriguing isn’t it? Not recommended for: People who are tired of troublemaker(s) story like Himouto Umaru-chan (although the story is fairly different). And also people who’re looking for a serious criminal-story. Some of us may have no problem in calling ourselves as Otaku. But in Japan, otaku is not exactly well respected (that’s sad in the land of manga/anime but it’s the truth). 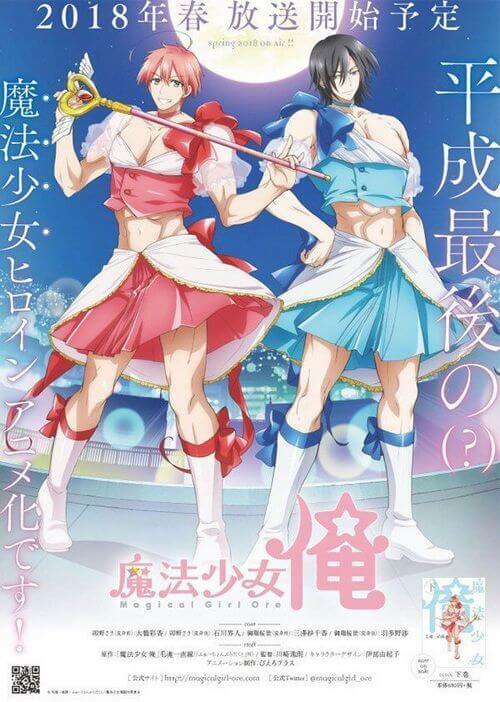 Funny enough, Wotaku ni Koi wa Muzukashii seems intend to bring “justice” to all Otakus. The story tells about 2 colleagues (a man and a woman) working in the same company who are old friends since middle school. That sounds like a normal comedy story in workplace right? But, the interesting part is: they are otaku and fujoshi (basically female otaku). How will these two fall in love with each other? We will soon find out! 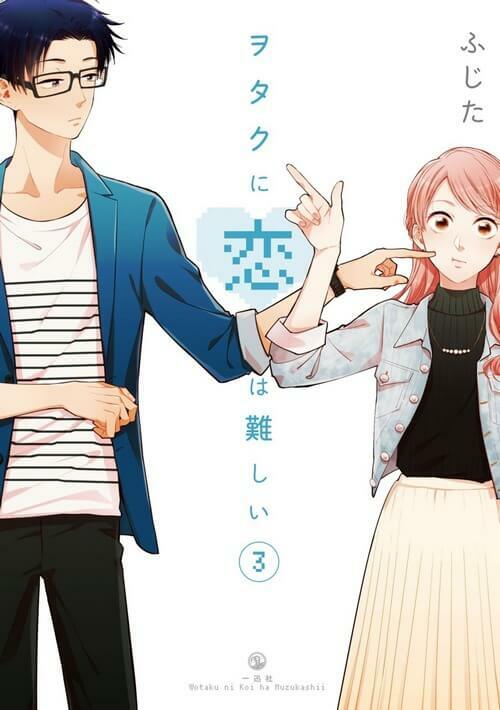 Recommended for: People who like comedy/romance anime, OR, interested in how 2 otakus can fall in love with each other and see if the same thing can happen to them (pun intended :D). Not recommended for: People who can’t stand romantic anime since “they are lame and unrealistic”. Okay… our first impression is… WUT!? Frankly speaking, this story really sounds genius and totally nuts at the same time. We have tried the first 2 episodes and we have to say: it is really hilarious, crazy, but in good way (we won’t try to spoil here). So far our first impression for this series is great and let’s hope that it will maintain this good momentum in later episodes. Recommended for: People who like to see a new crazy and fun comedy anime series with bizarre and stupid elements (in good way of course). Not recommended for: People who can’t stand “stupidity”? Tokyo Ghoul manga series is definitely outstanding. It totally broke the usual powerful-protagonist type of plot. It embraces brutal and somewhat realistic elements and of course, tons of unexpected turns of event. However, Tokyo Ghoul anime back in 2014 and 2015 is not exactly welcomed (if not horrendous to many fans). And with Tokyo Ghoul re announced, we have kind of mixed feeling. 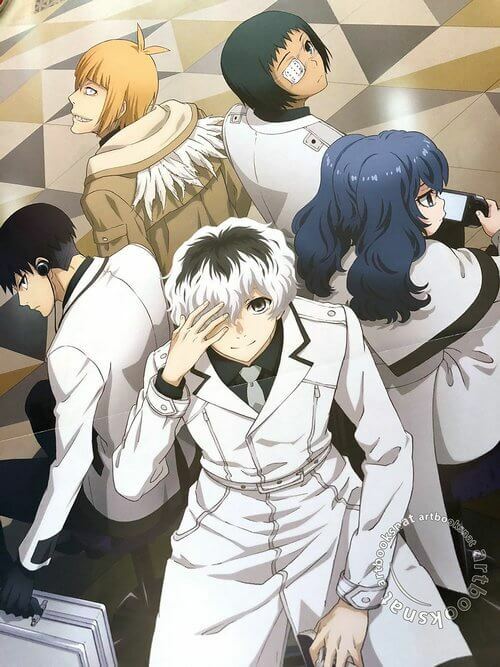 On one hand Tokyo Ghoul re’s story is really, really good and we would love to see our favorite characters in action. But on the other hand, the “failures” from Studio Pierrot with 2 previous Tokyo Ghoul seasons really discourage our passion. Nonetheless, many people have been anticipating for this sequel so… let’s just hope for the best then! Recommended for: People who are fans of Tokyo Ghoul series in overall and really, really want to see Haise Sasaki in action. Not recommended for: People who can’t forgive Studio Pierrot for “butchering” the original story. 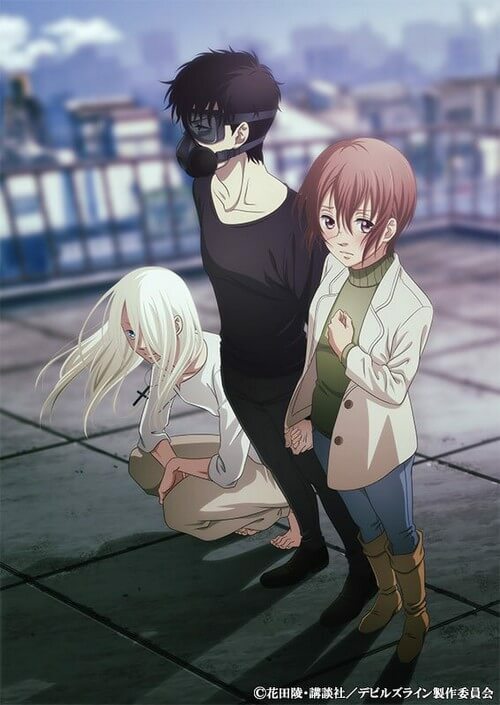 Devil’s Line is quite a new anime series here and by the look of it, it seems really awesome! Well we gotta admit: its story synopses really sound like Tokyo Ghoul-ish. But it managed to feel different. In short, the story tells about a college student named Tsukasa who was rescued by Anzai – a vampiric devil creature with human body and able to blend in human society. As a member of a shadowy police task force, Anzai is in charge of protecting Tsukasa. But as times fly, the two soon feel in love with each other. However, what will be the line between a devil and a human. Will a devil be able to overcome his murderous instinct? That’s waiting to be seen. To be honest, we have not watched its original manga series so we can’t say much about this anime. For now, we say it is worth to try out. Recommended for: People who seek better love story than Twilight. Not recommended for: People who are tired in vampire-human love affair? This one is quite self-explained. We have finished Persona 5 game and we have to say it is so excellent, arguably the best J-RPG in 2016-2017. 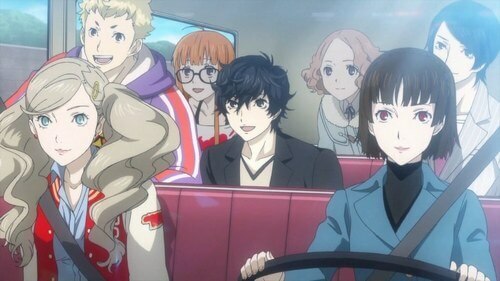 Persona 5 is excellently suitable to become an full-fledge anime and we’re anticipating for this Persona 5 the Animation (although we have known the story already). Recommended for: People who are so into Persona 5, especially those who have not played the game before but still interested in it. Not recommended for: People who are already played the game… cuz the story will obviously follow the game’s. This one is also quite self-explained. Following what’s left back in Shokugeki no Souma San no Sara, this next season will continue to the Elite Ten Arc (which is pretty awesome!). In this new season, there will be a new revelation which will force the members of Polar Star dorm, including Erina and other friends like Nikumi and the Aldini brothers to put their all effort if they want to survive in this new “gourmet paradise” by Azami. Since we have been following the manga, we can tell the story will be really exciting. But let’s not spoil anything here, shall we? Not recommended for: People who cannot continue watching due to excessive hunger for delicious cuisine. Steins;Gate is incredible and it is so happy for us to see a new Steins;Gate anime this Anime Spring 2018 season. 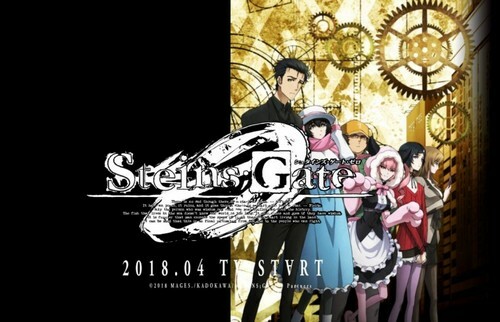 Based on the visual novel of the same name, Steins;Gate 0 is expected to tell an alternate ending to the original story. In this alternate story, our mad doctor Rintarou Okabe is trying to recover from his failed attempt in rescuing Kurisu Makise. Eventually, he decides to leave his scientist-ego behind to forget the past. But it seems his tragic past will not let him go away as it constantly haunts him. After discovering an AI which can simulate a person’s memory and personality, Okabe agrees to help testing the system. Yet, will it be a good development for him? Or a new tragedy awaits? Clearly the story already sounds promising and we definitely cannot miss this one. Recommended for: People who are expecting to see more of Steins;Gate and those enjoy mind-bending/tragedy plots. Not recommended for: People who can’t take more tragedy. Well this has been blowing up anime community within the past few weeks. 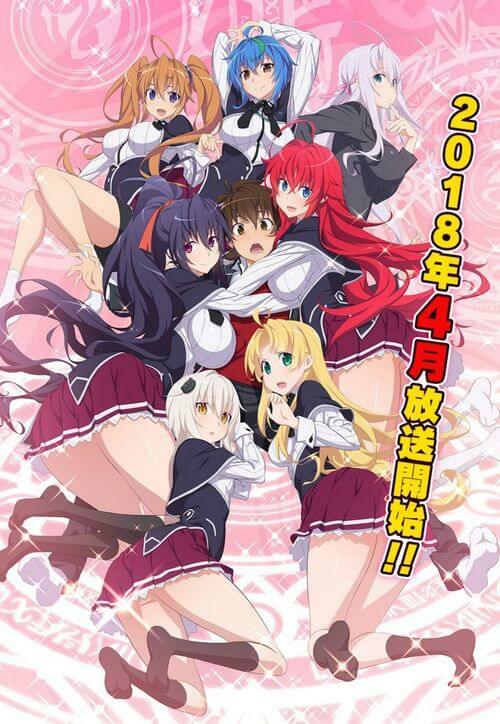 The legendary High School DxD series has finally returned with a brand new visual style and brand new story. Of course we still have the same old “harem king” Hyoudou Issei and his “grills” Rias Gremory, Akeno Himejima, Koneko Toujou, Asia Argento, Xenovia Quarta, Irina Shidou, and Rossweisse. Many people are arguing about the visual style but personally we are not exactly bothered by that. More importantly, let’s hope that the story will be excellent! Recommended for: People who really, really want to see their cute “waifus” of High School DxD. Not recommended for: People who are tired of “stereotypical harem story”. 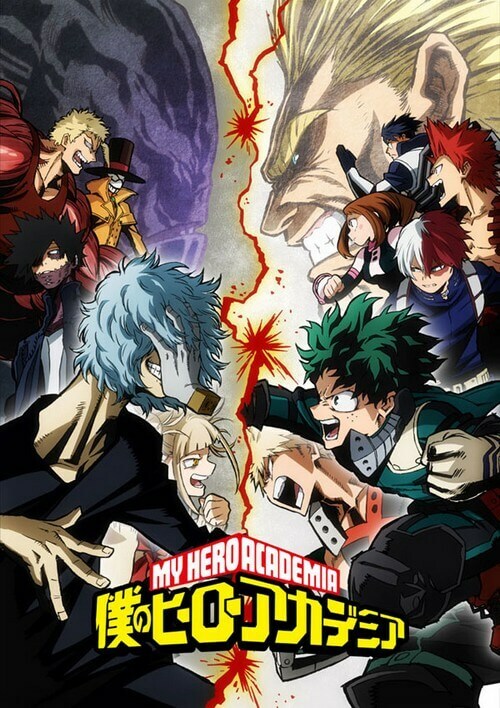 Finally we have Boku no Hero Academia which has been a huge hit among anime fans recently. Despite having the typical heroes–villains kind of story, this series has managed to capture our attention ever since its first season. The somewhat realism and brutal elements really suit the story and it truly makes things feel really dangerous and urgent. Of course, fans of Boku no Hero Academia cannot simply miss this third season which will release soon on Apr 7, 2018! Recommended for: Fans of Boku no Hero Academia, obviously! Not recommended for: People who are so bored of hero-villain trope or haven’t taken interest in the series. And that’s it folks! What are your most anticipated anime Spring 2018? Feel free to share with us and for now, thank you and stay tune for more news in the future! Pingback: Thought on Darling in the Franxx: Zero Two and Ichigo? Pingback: Seven Deadly Sins Profiles: “Dark Knights” of Britainia!